If you’re a regular reader, you know I’m not as into typical Celtic music. I like independent Celtic music… the kind of music you’re gonna find in YOUR hometown. It’s down-to-earth and filled with passion. That’s the reason it becomes more popular every year. True folk music isn’t about pomp and circumstance. It comes from the heart. It changes. Yet, it remains the same. So this year, I went through the list of Celtic CDs that were downloaded into my computer and picked some my favorites. Enjoy! I confess I adore Cady Finlayson. Her fiddling is top notch and she collaborates with a variety of great musicians. 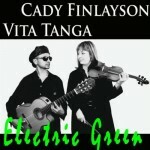 This album joins her with French guitarist Vita Tanga to create a new spin on Irish fiddle from funky reels with the wah pedal to beautiful melodies. While we’re lookin at fusions, Sligo Rags are one of my favorite in that category. A truly American Celtic band, they combine the best of the Celtic song and tune with American folk and bluegrass. Their albums are all beautifully lush and harmonious. Descending on us from the Czech Republic, Poitin continues to blow me away with tight, foot stomping arrangements. It’s no wonder they were Celtic Radio Award nominees and why I’ve kept my eye on them for the past three years. Claire Roche is a rare gem, and from the very first song you realize it. She plays the harp and sings with a voice that sounds eternally ancient. We’re talking days of Yore here, people. This album features traditional songs that she learned while learning to play the harp at Sion Hill School in Blackrock Co. Dublin, many years ago. And if you get a chance to hear them live, don’t miss it! The ladies of Maidens IV continue to inspire and push the envelope for great independent Celtic music. This latest contribution is no exception. It’s high-energy and packed with beautiful harmonies and outstanding arrangements. Speaking of inspiring ladies, The Gothard Sisters released a Christmas CD this year. It quickly became my favorite Celtic Christmas album out there. The ladies offer a beautiful fusion of Celtic music with Christmas songs. 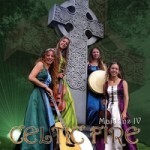 Add to it their beautifully delicate vocals and you have a masterful addition to the Celtic music world. I first met Don Grieve at an Irish seisun in Italy. What an amazing experience that was! I fell in love with his music instantly. He played a lot of Burns’ songs at that pub, so I was pleased to see a tribute to the great Scottish poet and songwriter. This is a fitting tribute indeed. Don’s strong Scottish vocals bring burns poetry and song to life. Jed Marum impresses me regularly. He combines great Irish and original songs with American folk and bluegrass. 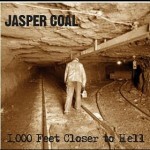 This album highlights the banjo along with his beautiful vocals. Plus, many of the tracks were featured in Film and TV projects. An excellent addition anyone’s CD catalog. Now taking a step towards more traditional, I bring you Anton Emery. Out of the Pacific Northwest, he plays traditional and modern Celtic tunes on solo acoustic guitar. Soft, relaxing, but intensely exquisite fingerpicking. Three Mile stone is a last minute addition to my list. Their self-titled album was produced by John Doyle. So here’s some driving traditional Irish music that sparkles. This album fell into my collection a few months back and wouldn’t leave my car so I could properly rip the album. It’s some of the best Alternative Celtic Rock I’ve heard in a wonderfully well-themed album. One of the first albums I ever heard was a wee cassette called “Irish Drinking Songs”. I bought it for five bucks. These guys were just as inspired by that album as I was. But while I went folky, they punked it up with with whiskey, beer, great vocals and powerful fun music. 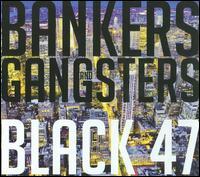 Songwriting is the number one reason I love Black 47. Their newest album once again highlights Kirwan’s songwriting skill, plus their great fusion of reggae, hip-hop, rock, and Celtic music. All the stuff a growing boy needs to hear on the streets of New York. Well there you have it, 14 great indie Celtic music CDs. These aren’t the most conventional Celtic, that’s for sure. I love traditional Irish music, sadly, there’s only a touch of it here. Now as I look back at the albums that I enjoyed, I see the influence the Celts had on the world with music. There’s music from Celts from Australia and the Czech Republic. But there’s also a whole bunch of first, second, and third generations Celts who are re imagining the music, from the more progressive Celtic rock to bluegrass to pop, and of course a bunch of different folk stylings. The Irish and Celtic influence is fascinating, but I also find it even more fascinating to see the effect of the world on Celtic music. Most of the traditional Irish music we hear today is itself no more traditional than the progressive fusions that these and other Celtic bands are creating. But then, that is the folk process. It changes. And it’s another reason why the Celtic MP3s Music Magazine is changing the way you hear Celtic music. Marc Gunn “The Celtfather” is Editor of the Celtic MP3s Music Magazine and an acoustic folk musician rooted in the American Celtic song tradition–-Celtic music, the Traditional and the Twisted. Gunn is a champion of indie Celtic music and has given away over ten million MP3s through his music and podcasts since he began his Celtic music career in 1999. His Irish & Celtic Music Podcast won “Best Podsafe Music” two years in a row in the Podcast Awards and is one of the most-popular music podcasts on iTunes. And in 2010, Gunn released two highly-praised alums of indie Celtic music: Kilted For Her Pleasure, an album of kilted Celtic comedy music, and The Bridge, a soulful reflection of Celtic and folk bluesy music with themes and melodies both new and old. Embrace independent Celtic music!